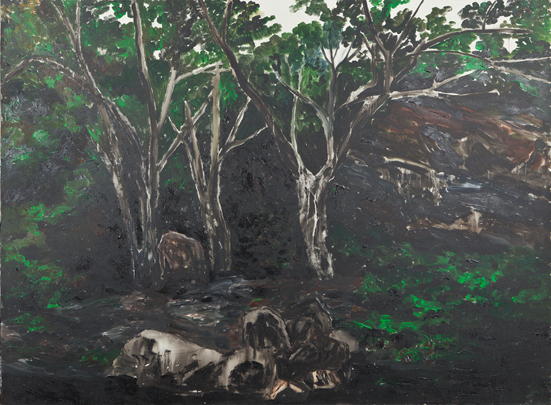 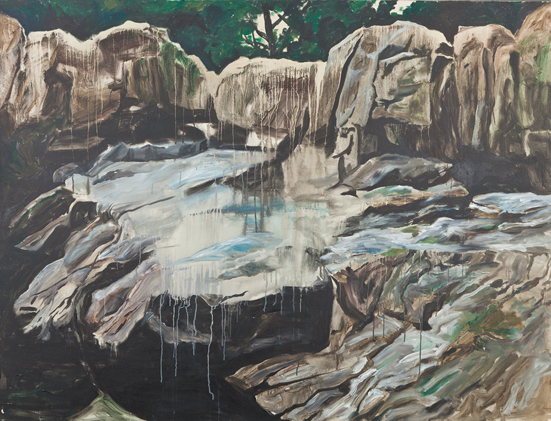 Boers-Li Gallery is pleased to announce the opening of a solo exhibition for Qiu Anxiong entitled Zoo on 16 October 2010 and continuing through 7 November. 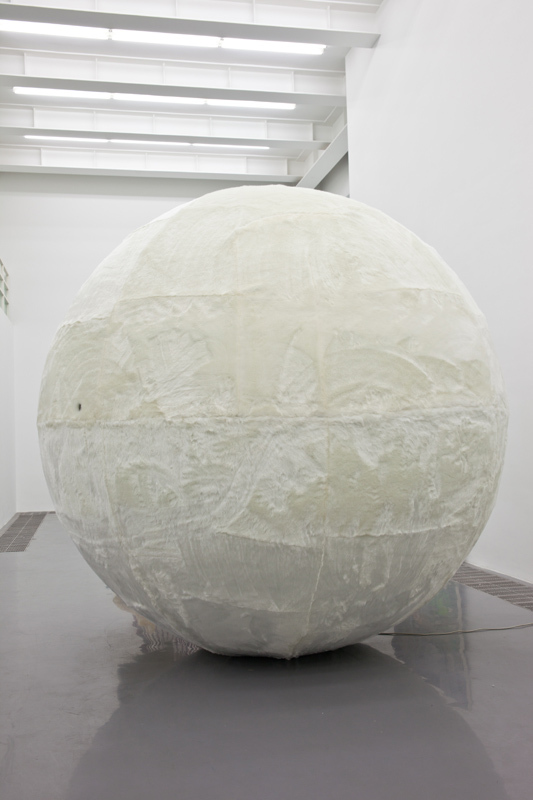 The exhibition will include the artist's new work in oil painting, sculpture, and video installation. 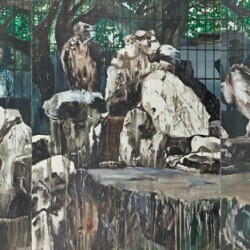 The exhibition as a whole revolves around the decaying scenes of the zoological garden. 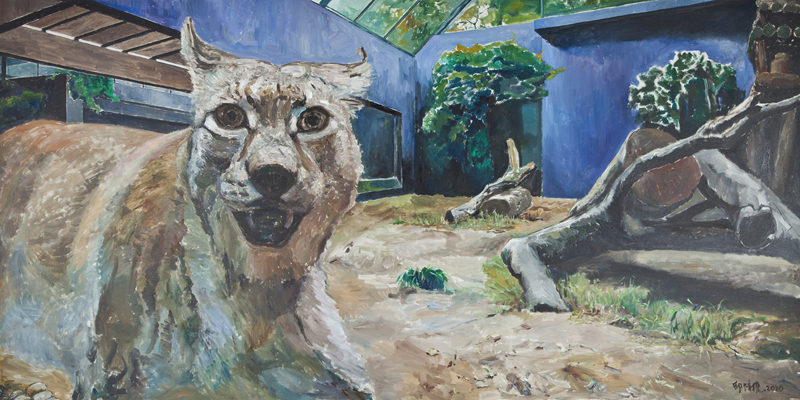 Animals once free to gallop and soar are here confined to a purportedly humane synthetic nature, held captive in the limited degree of freedom endemic to the zoo and certainly experiencing some degree of boredom. 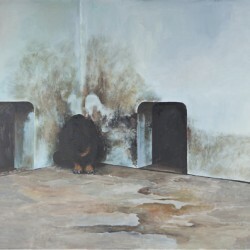 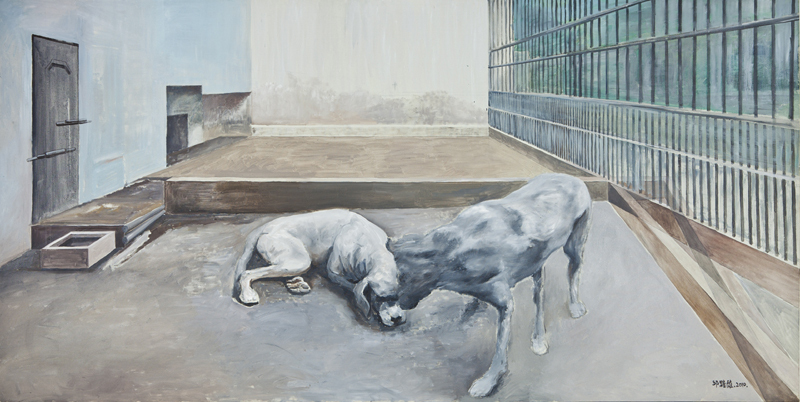 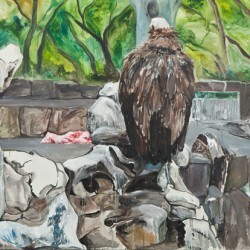 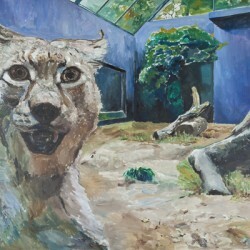 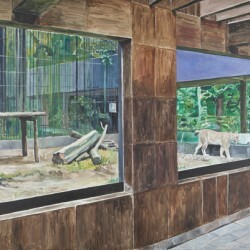 Such paintings exist here as a background to the exhibition, allowing the figure of the zoo to come to stand in for captivity itself within this new series. 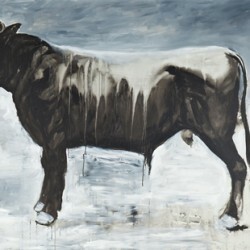 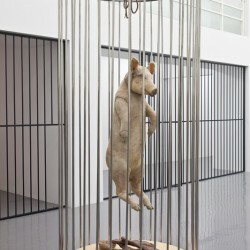 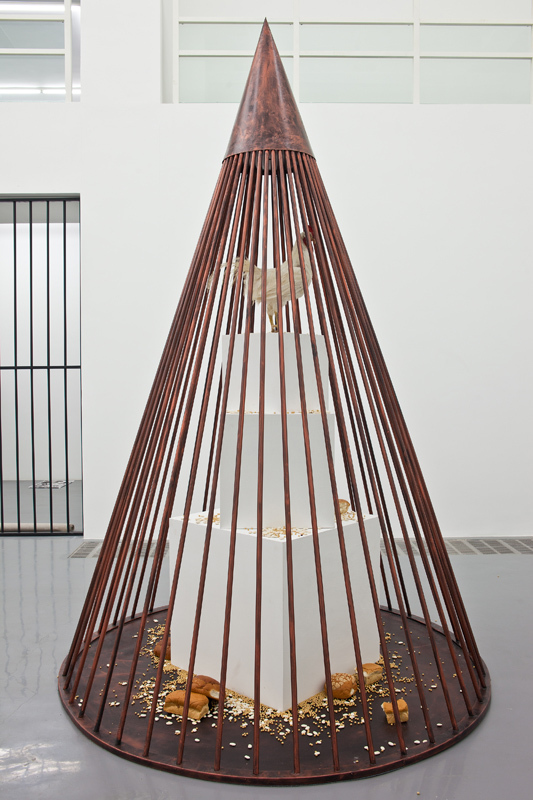 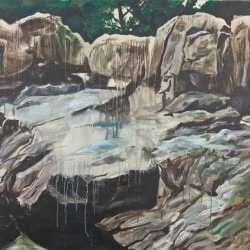 Alongside this conceptual development, Qiu Anxiong attempts to survey the broader meaning of captivity within more expansive spheres of culture, educational systems, and lifestyles, a discussion that originates with the phenomenon by which external control imperceptibly becomes habitual self-control, mirroring another process by which the object of control shifts from the animal to the human. 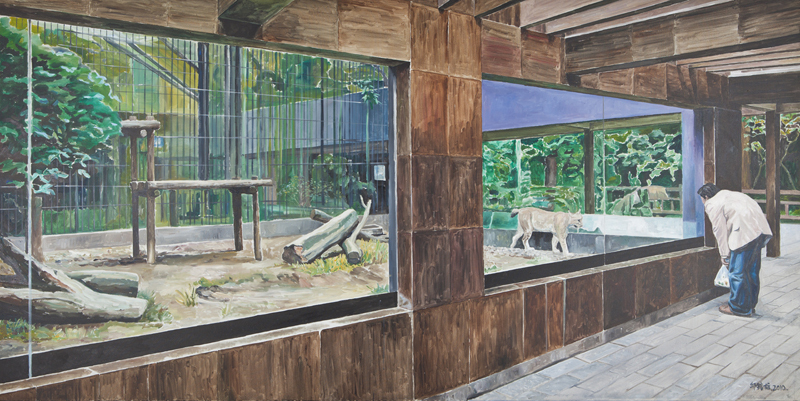 As a portion of this continuing exploration of culture and control, this exhibition employs models of the zoo and civilization to manifest mistaken understandings of history. 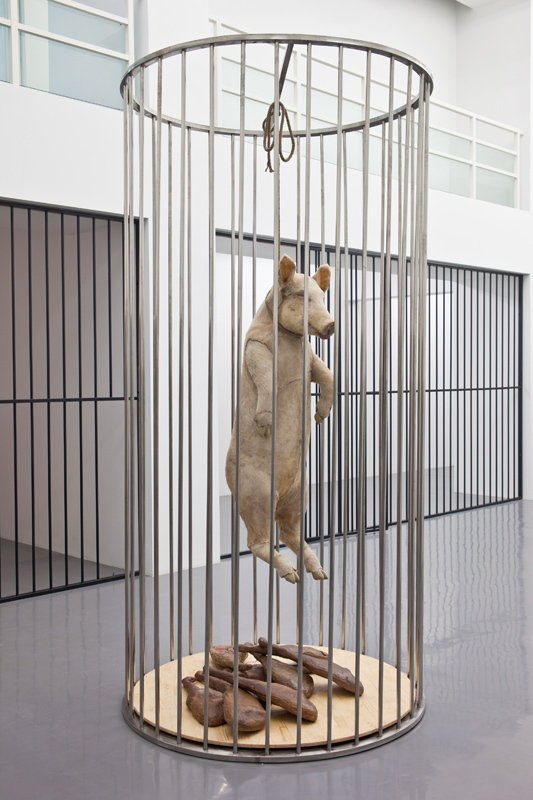 Animals are here taken as gods, as in “Heresy;” turned into food products, as in “Revolution;” or observed as pets, as in “Enlightenment.” The artist here uses a method of Borgesian personification to reveal how, throughout the history of civilization, the various manifestations of collectivism have imprisoned and even extinguished the individual. 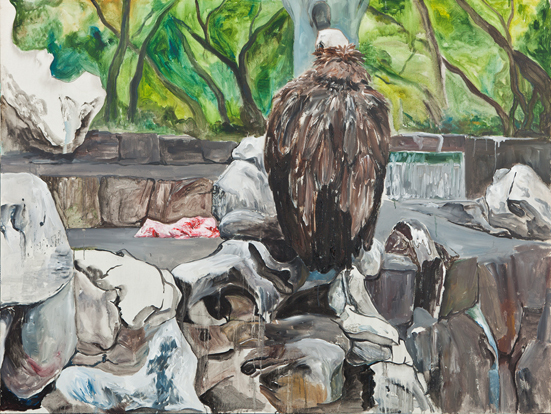 Through the reverse of such personification, the artist concludes the exhibition by animalizing a domestic scene depicting consumer society, thus expressing the captivity of material consumption outside the spiritual realm. 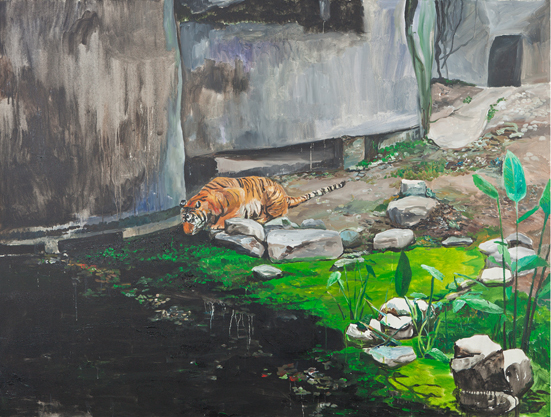 Beginning with his widely known work “New Classic of the Mountains and Seas I,” Qiu Anxiong has drawn on a method in which mythical and existing animals are metaphorically drawn into reality in order to develop his analysis and critique of contemporary society. 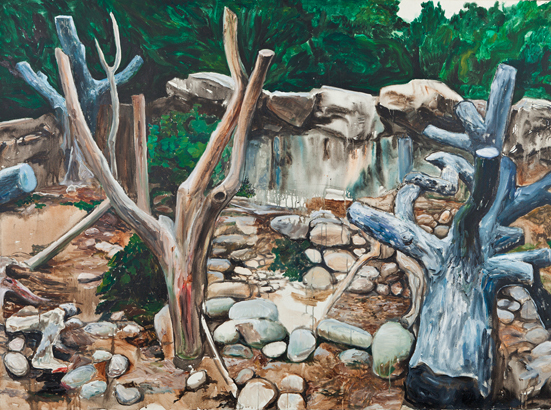 At the same time, the narratives and symbols present in his work continuously construct new forms of visual narrative in a relatively restricted system. 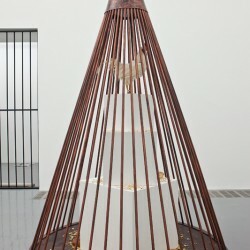 The attraction of this work lies in its eccentric and abnormal quixotic pursuit, particularly in the artificial encyclopedic knowledge it spawns. 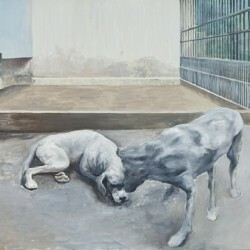 This unique narrative mode could be linked to those of Borges, but its spiritual quality is actually much closer to the critique of reality manifested in Orwell's Animal Farm. 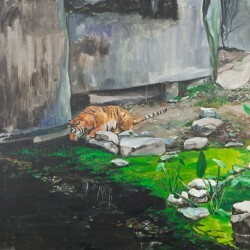 Qiu Anxiong was born in Chengdu in 1972. 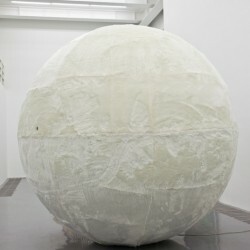 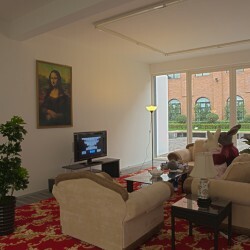 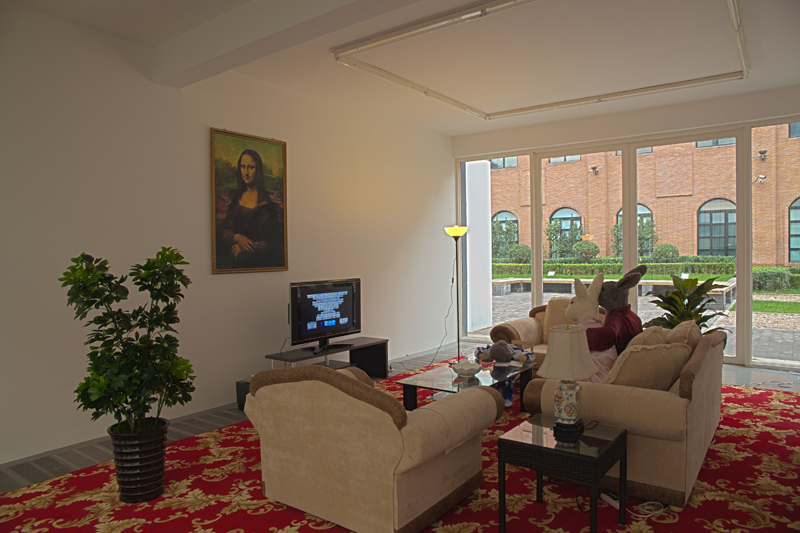 He has exhibited in the Shanghai Biennale in 2006, China Power Station Part 1 in 2007, the Asia Pacific Triennial of Contemporary Art in 2009, and most recently the São Paulo Biennial in 2010. 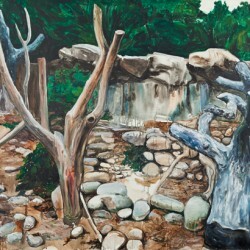 He also held a solo exhibition at the Museum of Contemporary Art Tokyo in 2007. 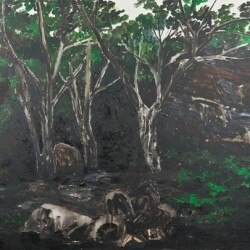 His video work “New Classic of the Mountains and Seas II” and related print works have recently been acquired by the collection of the Museum of Modern Art in New York.